Specializing in mounts for many years, I eventually became somewhat of an expert in GPS models. As I was walking around an electronics store, I realized that it’s kind of difficult to understand all the features available in the GPS world and one could benefit from reading a quick article on the topic. Not too long ago, everyone owned a GPS. They were cheap, accurate and easy to use. I wouldn’t drive without one. Today is a different world. Everyone has a smartphone and great GPS apps such as Waze are available for free. Standalone GPS units don’t fly off the shelves the way they used to. However there’s still a very large market for a GPS device. They offer advantages that a phone doesn’t. On a GPS, size matters. Most smartphones have a 4.3″ screen or less. You can purchase a GPS with a 5, 6 or even 7 inch screen. Also, many Garmin GPS units have features that aren’t found on a smartphone such as lane assist which is real helpful when driving on large highways. The Garmin Nuvi will show a blown up map of the road and tell you which lanes to get into. Lastly, there are places where a dedicated GPS unit is more usable than a phone. A motorcycle is one of those places. This article is focusing on the Garmin Nuvi car line of GPS units along with an honorable mention of a popular Garmin motorcycle GPS. 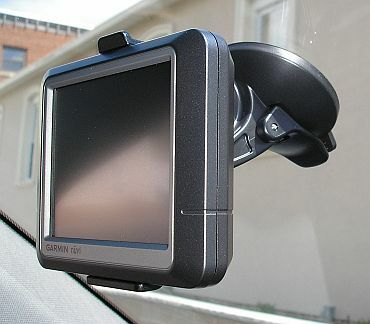 Garmin is the leading supplier of passenger vehicle GPS units in the US and in many other countries around the world. They make solid devices at a competitive price and they are easy to use. Before buying a Garmin Nuvi GPS, there are several important decisions to make beyond budget so let’s discuss them. First is the size of the GPS screen. There are 4.3, 5, 6 and 7 inch diagonal screens. I recommend buying at least a 5″ screen. A 6″ screen is nice too. I find that a 7″ screen is large, maybe too large for most cars however if using it in a truck, rig or RV where it will be placed further from the driver, the larger screen may work best. I would avoid the 4.3″ inch screen for a car as it’s too small for most and the 5″ upgrade is only a few dollars more. There are however instances where a smaller screen is better, such as on a motorcycle where handlebar real estate is at a premium (it’s typically mounted to a handlebar) so a 4.3″ screen may work better here. Next is the question of how long will you own the GPS. A lot of GPS buyers upgrade their GPS every 3-4 years. Some keep it until it stops working. If you are of the latter group and plan to use it until it no longer works, then be sure to get a model with lifetime maps. In the Garmin world, they use the letters “LM” to designate that updated maps are available for the lifetime of the GPS unit. Updates are issued periodically and can be downloaded to your GPS by connecting the included USB cable between your GPS and PC. There is a software program that’s used to upgrade your maps which loads onto your PC. An important note is that not all models with lifetime maps include those outside the US. In some cases, it may include Canada, but in the majority of cases, it will not. If Canadian maps (or any other country) is important then go out of your way to ensure that map is present on the GPS. The third important decision is if you would like to integrate traffic into your maps. Garmin offers a traffic feature that works in most large metropolitan areas. If you live outside these areas, as I do, then this feature is probably not worth the extra charge. The Garmin traffic feature is enabled through the power cable. This is a special cable that costs upwards of $60 so don’t leave it your next car rental! Lastly is the plans for where you want to use the GPS. If it’s a motorcycle, you might want to consider a weatherproof GPS such as a Garmin Zumo 595LM. This is a GPS made for use on a motorcycle and includes lifetime map updates at no charge (note the LM in the title). It features a 5.0″ screen and has Bluetooth integration so you can hear the commands within a Bluetooth enabled helmet. Over the years, Garmin has released over 100 models as part of the Nuvi line. Let’s take a look at three of the most popular current models. The Garmin Nuvi 58LM is a great value in GPS land. This is part of Garmin’s entry-level line. It features a 5″ diagonal screen, comes with a mount and car charger as well as a USB cable for map updates. The LM means you get lifetime maps so you can keep this one until it doesn’t turn on any longer. The GPS is easy to read and you can hear the directions which are spoken with the street name. The Garmin Nuvi 2639LMT is a mid-tier entry that features a 6″ screen and is perfect for someone who drives their car a lot. This includes lifetime maps and a traffic subscription. The GPS also integrates with Foursquare for restaurants and entertainment although you will likely use your smartphone for this purpose instead of the Nuvi but it’s a nice feature to play with when you have some time. Lastly, the Garmin Nuvi 2789LMT is a top of the line model. This GPS is Garmin’s 2015 entry in the 7″ screen market. The 7-inch pinch-to-zoom display operates similarly to what you would find on any smartphone. This GPS includes a lot of premium features including lifetime traffic, maps, bluetooth and voice recognition. Bluetooth integration isn’t found in many GPS units and it can integrate with a portable bluetooth or the one in your car. This GPS also has voice activated navigation so that you can keep your hands on the wheel, which if you’re in a state that tickets drivers for texting, is a good idea. Hopefully this helped make your selection a little easier. We have a lot of other articles on this topic. For example, a lot of Garmin Nuvi owners like to mount their device in places other than the traditional windshield and we wrote an article on that topic a while back. Magnetic mounts are a new emerging trend in the mount area and we wrote an article on these which you can access here. Should I get the GPS Option in My New Car?